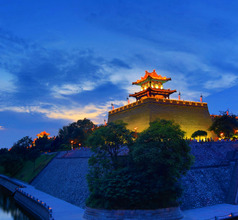 Xi’an City is the capital of Shaanxi Province, China and is located at the easternmost tip of the Ancient Silk Route. Lying in the fertile Yellow River Basin and waterways, the region was very prosperous even in ancient times. 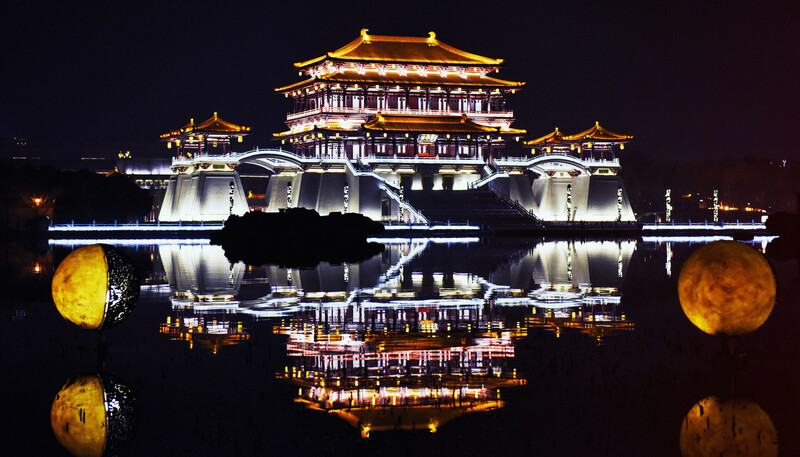 It has been the birthplaces of several civilizations like the Zhou, Han, Qin, and Tang dynasties. 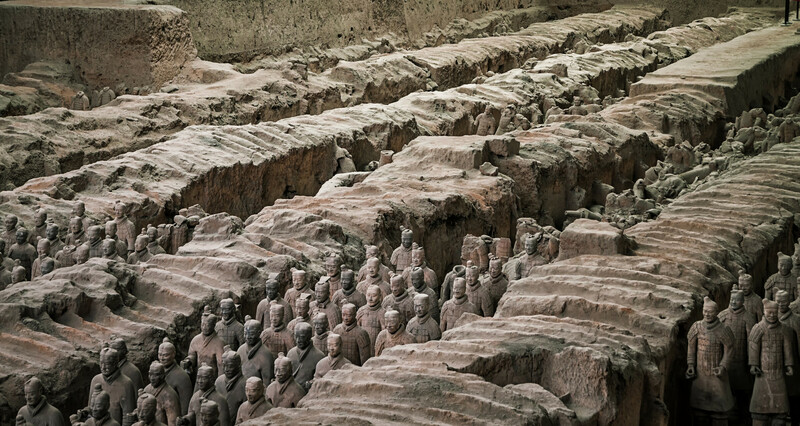 Hence, the city is famous for many ancient relics including the UNESCO World Heritage Site of Qin Dynasty Terracotta Warriors. Even today, the population of the city is a pleasant blend of different nationalities and ethnicities. 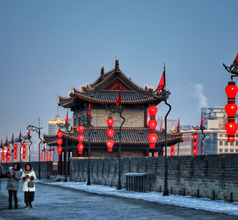 There is an aura of friendliness and helpfulness that makes the old-world charm of Xi’an doubly appealing. 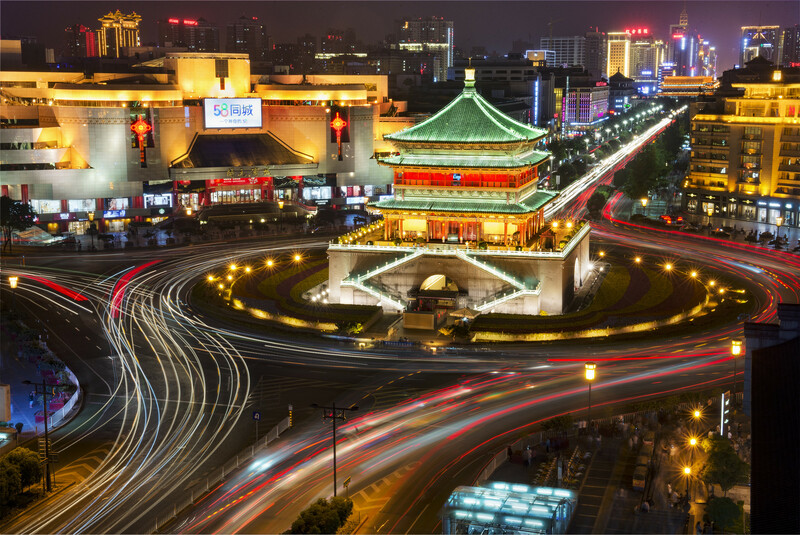 Downtown Xi’an, of course, is a modern city with beautiful avenues, modern architecture, shopping areas, and recreational facilities that have sprung up without disturbing the city’s ancient heritage. 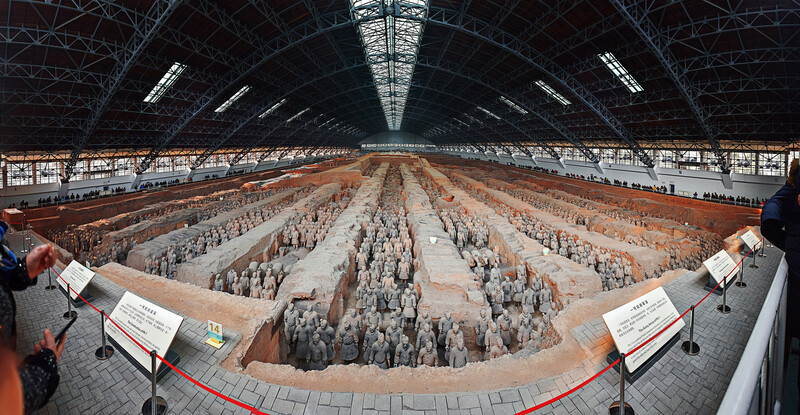 With a long history of over 3000 years, it is little wonder that Xi'an City has countless museums, archaeological sites, monuments, temples, and other ancient relics of the past. As the eastern checkpoint along the Ancient Silk Road, traders from the West and Persia had to pass through the city to reach the markets within China. Naturally, some of them have left their mark on the city in the form of monuments, places of worship, and other relics. 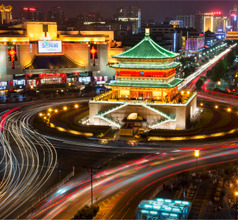 Xi’an City took the lead when China's Western Development Drive Program was implemented in the early 1990s. Therefore, Xi'an has become an important industrial, economic, cultural, and educational center in central China. Its markets are a treat for visitors who like to shop for souvenirs and try out the local cuisine. For this, the best place is Huimin Street in the Muslim Quarter of the city. The shops are owned by Chinese Hui Muslims who sell wooden Buddhas, dragons, fake clothes and accessories of famous brands, and 15cm-tall terracotta warriors, all at affordable rates. There is plenty to choose from where accommodation in Xi’an City is concerned. There are plenty of 2, 3, 4, and 5-star hotels with many amenities like International cuisine restaurants and customized sightseeing tours. Then there is low-priced accommodation with only basic amenities like guesthouses, inns, service-apartments, and youth hostels to choose from. Of course, a majority of the staff in the luxury hotels knows English but that may not be the case with the cheaper accommodation. So a suitable dictionary or mobile translation app will be handy. 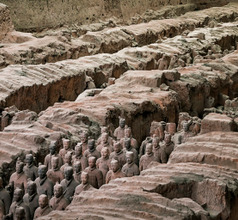 The UNESCO site of the Army of Terracotta Warriors and Horses is located about 20Kms from Xi’an. These life-size warriors and horses are part of Emperor Qin Shi Huang’s Mausoleum (tombs). 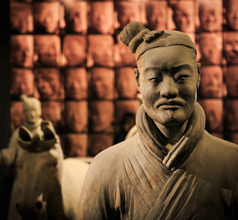 This on-site museum covers a vast area of 20,000 square meters and consists of 100 bronze chariots, 2000 life-size terracotta warriors, and 30,000 weapons. 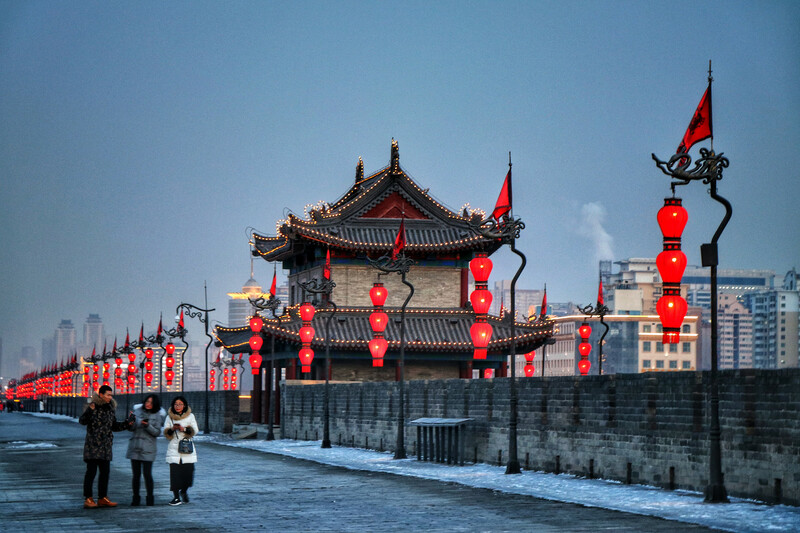 The City Wall of Xi'an is another ancient relic that still exists. Believed to be the world’s largest city wall, it is 12 meters tall, 13.7Kms long, and its base is 18 meters thick. Bikes are available on hire at the site to go to the top for a splendid panoramic view. 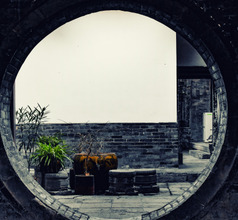 Accessible from the top of the wall, there is a museum at the Hanguang Gate. 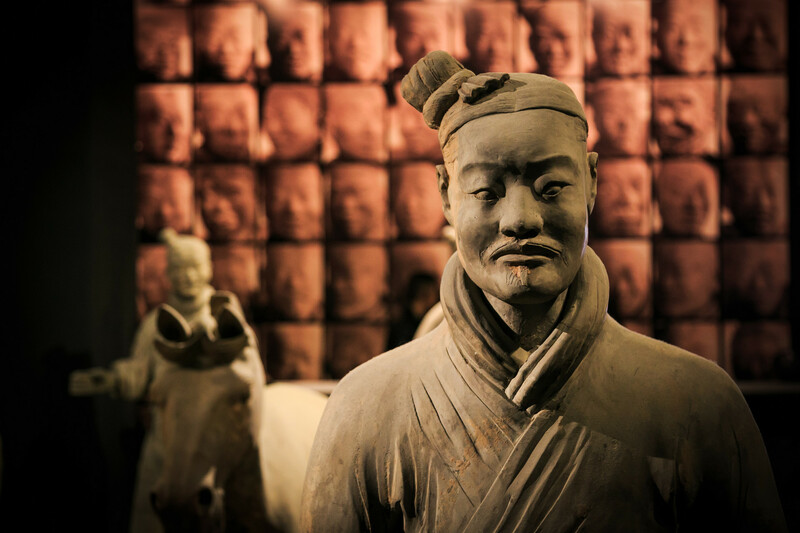 The Shaanxi History Museum is another treasure-trove of ancient relics. 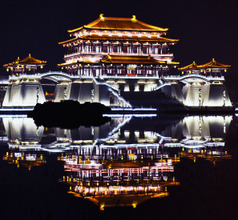 There are artifacts that showcase the entire history of the city from the Neolithic times till the Qing Dynasty reign. The relics excavated in the Banpo Neolithic Village near Xi’an is the highlight of this museum. The Forest of Steles near the Wenchang Gate has a large collection of 2,300 stone inscribed steles that are a rich find too. The highlight of this museum is the 7th century Nestorian Stele located in exhibition room number 2. 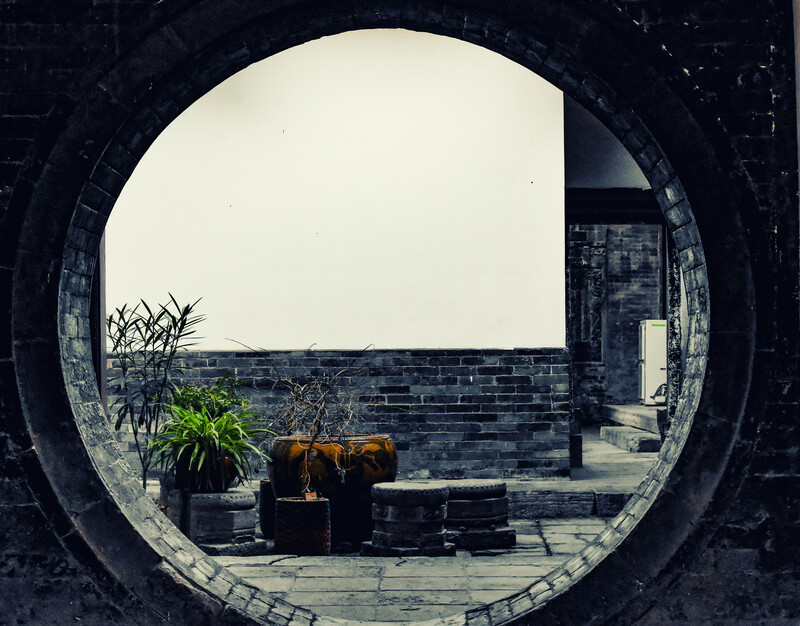 While the gold and jade artifacts and exquisite paintings and murals are what makes a trip to the Xi'an Qujiang Museum of Fine Arts worth the effort. 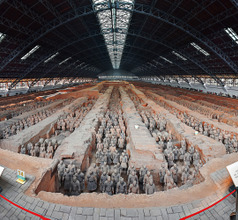 There are several ancient places of worship in Xi’an City that are also popular tourist attractions. The Wolong Temple was originally built in 200 BC and has been restored just like the old one. The Giant Wild Goose Pagoda has an old-world charm but also has a modern sound-light-water show for the benefit of visitors. The temple complex also has park areas and western-style food courts. Other ancient Buddhist relics include the Small Wild Goose Pagoda, Eight Immortals Temple (Taoist temple), Bell Tower, and Drum Tower. The architecture of the Muslim Quarter's Grand Mosque is a beautiful blend of Chinese and Islamic styles. The Xi'an subway (Xi'an Metro) refers to the urban rail transit service in Xi'an, Shaanxi, China. Its first line opened in September 16, 2011, making Xi'an the first city to open the subway in the northwest of China. According to the information of the Xi'an subway official network in October 2017, there are 3 lines in its operation line, which are line 1, 2 and 3. The subway system is used and the length of mileage is 91.35 kilometers. There are 66 stations in the station, of which 3 stations are transferred to the station. According to the information of the Xi'an subway official network in October 2017, there are 6 lines in the construction line, which are line 1, line two, line 4, No. 5 line one, 6 line one, two of line 6, and one phase of Lintong line (9 line), and 180 km in construction mileage; a total of 18 lines are planned for the long term. In 2016, the total passenger volume of Xi'an metro line reached 408 million 157 thousand and 500 passengers, with an average daily passenger volume of 1 million 115 thousand and 200 passengers, an increase of 19.32% over the previous year. As of October 2017, the highest daily passenger flow of Xi'an Metro appeared in September 30, 2017, reaching 2 million 233 thousand and 300 passengers. Taxis are easy to find throughout the city, but as per usual you'll need your destination written down in Chinese. Flagfall is just 6 RMB for the first 2km, so most trips within the city walls should come in at under 10 RMB. Buses are plentiful in Xi'an, and cost just 1 or 2 RMB depending on whether or not they are air-conditioned. Unfortunately almost all bust information is only available in Chinese, so it's best to ask your hotel to help you out here. Xi'an North Railway Station is located around 10km to the north of the city center, and serves high speed D and G trains to cities including Beijing and Chengdu. It is the largest railway hub in northwestern China. It can be accessed by taking Metro Line 2. Xi'an Railway Station is located just to the north of the city's walls, and serve's mainly slower speed and overnight trains. Metro Line 4 is courrently under construction and will link the station to the city center in the future but currently there is no Metro conenction. Wulukou Station on Metro Line 1 is only 700m away however, if you don't mind walking. Xi'an Xianyang International is China’s 7th busiest airport, has 3 terminals and free transfers between them. Downtown Xi’an is 41 kms away and can be accessed via airport shuttle (RMB15-25) and taxi (RMB100-160; cab-share = fare-share) which takes 30 minutes. Airport shuttles do inter-city transfers too as well as going to tourist sites, whereas, public buses serve all routes. There are over 20 international routes and connections to most Chinese cities through the major airlines. The city of Xi’an is well-known for its Muslim style food specialties but Chinese food is also available easily. Although downtown Xi’an has several western-style restaurants as well as pizza and burger outlets, their local food is considered to be very delicious and is definitely worth trying. The food is usually complex in its cooking process but very affordable. Some of their special dishes are flatbread with mutton soup, Xi’an meat burger (a modern addition), Liangpi (cold noodles), steamed beef with wheat powder, dumplings in hot and sour soup, Biangbiang noodles (thick belt-like noodles), kebabs (grilled beef or mutton chunks on skewers), grilled fish, pancakes, etc. The pomegranate juice is prepared in a special way and is very refreshing. 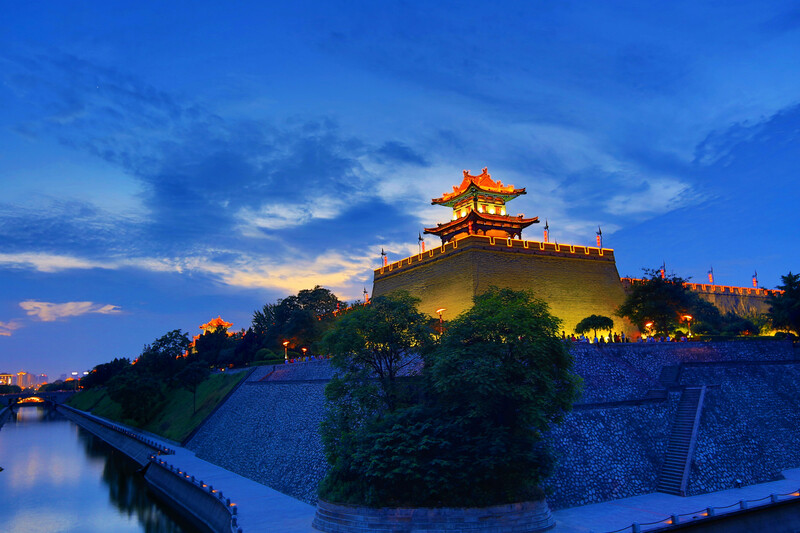 The weather in Xi’an features hot, humid summers, cold, dry winters, and dry springs and autumns. Dust storms often occur during March and April as the city rapidly warms up. Summer months also experience frequent but short thunderstorms. The number of travelers is usually greatest during Summer (May-August), although the most pleasant season for visiting Xi'an is Autumn.